Architecture is the art and science of designing buildings, open areas, cities, but it also includes interior design, restoration or remodeling of existing buildings. In the past, public works were very significant to the development of a great dynasty, such as the Great Wall and the Grand Canal. Chinese architecture today captures many influences around the world and combines them into one unique technique that reflects their ancient and contemporary culture. The Grand Canal is the oldest and possibly the longest man-made canal in the world. With almost 1.800 km long, it begins at Beijing, ending at Hangzhou. It was constructed for trading purposes, as well as a means to ship ample supplies north. The construction began in 486 B.C. 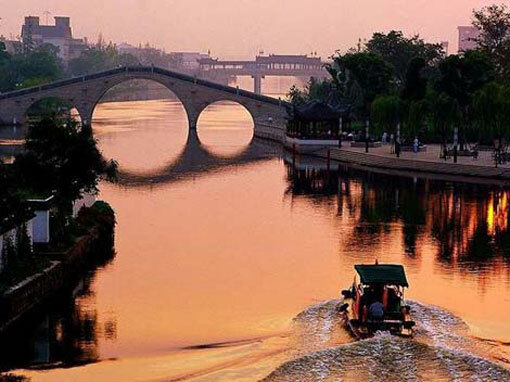 during the Wu Dynasty and connected the Yellow River to the Haihe, Huai, Yangzi, and Qiantangjiang rivers. As the ancient Chinese believed the earth was square, they built most of their cities in this shape, always protected by a strong wall and guarded gates. The streets were straight and crossed from north to south, from east to west. That system provided a division which enclosed houses into smaller areas called “wards”. The palaces were the most important element of the ancient architecture. Their construction followed the same basic structure, but each one was unique in its own way. 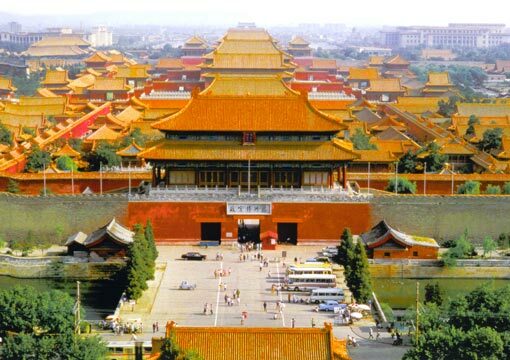 The Forbidden City held the greatest imperial palaces in history. The emperor’s palace was also enclosed by a wall, were usually noble’s residences were located - big houses made of wood and tiled roof. The inner part was private and surrounded by beautiful gardens that searched to integrate man-made structure with nature. 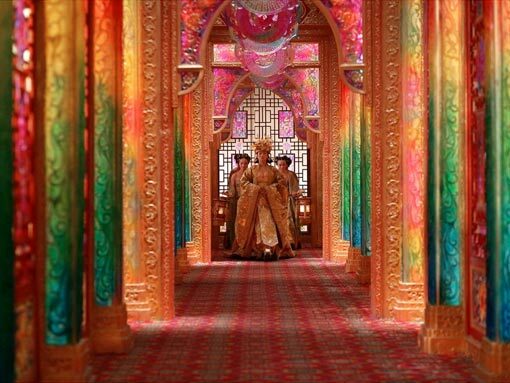 Palaces were decorated with paintings, carvings, statues, artifacts, pottery and many objects. During the Song and T’ang dynasties, ornamentations became very complex and paintings on timber were very common. Everything was delicate and meaningful. The ordinary people inhabited compacted areas with walls built around them so that no one could get in or out at night. 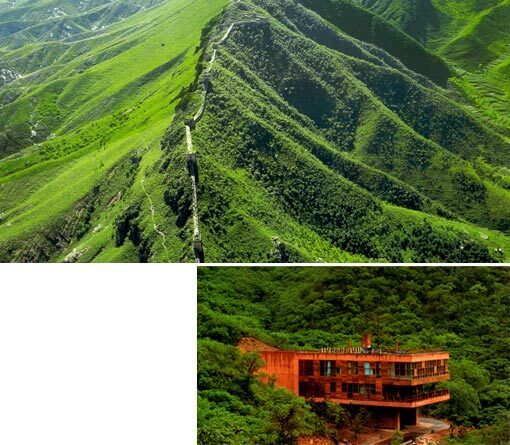 Their houses were very small and were made of wooden planks or mud and had a bamboo roof. One thing all houses had in common was the spiritual hall. The Chinese believed their ancestors’ spirits could control the good fortune of the family; therefore they prayed and worshiped them in anniversaries and special festivals. This small room in the back of the house consisted only of a table, ornaments, and a plank with the dates of the birth and death of the spirits. The Chinese were also known for their gardening skills; every city was planned to have parks and gardens. Each detail was thought carefully and represented something special. The color yellow symbolizes power and wealth and a mark of status, water lilies stand for truth while bamboo indicates strength. 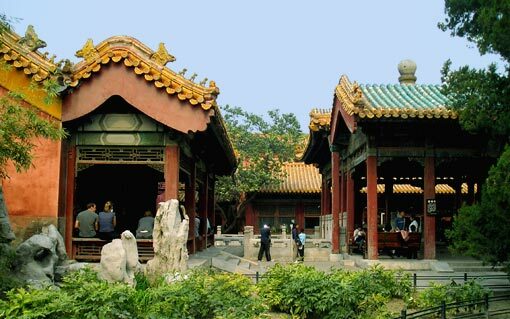 The temples had the same basic structure as the palaces and were devoted to the ancient Chinese beliefs. The entrance was designed as series of arches that would be separated from the main building. Guarding those arches the statues of the “Fu Lions”, who represented the male and female forces, were known to have mythical powers which protected the entrance from evil. 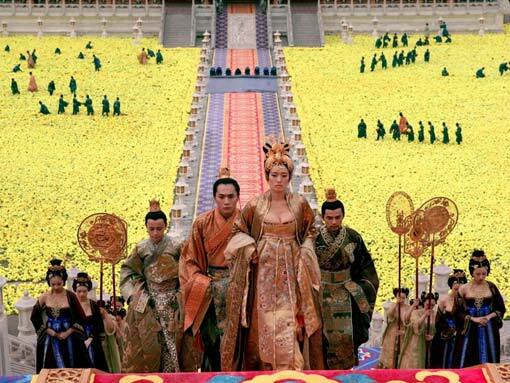 It was tradition that emperors would be buried with their wealth to carry it to afterlife. Some of the burial chambers were even shaped as houses. They were tunneled deep into the ground and had stone gates to prevent the robbers from stealing artifacts. Statues were also carved to protect the emperor’s rest from evil spirits. 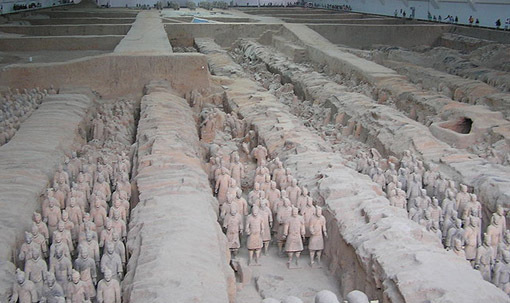 In the tomb of China’s first emperor were found thousands of life-size terracotta soldiers, along with models of his palace and other possessions. Common people buried their families in their own land, and made paper models of their belongings. 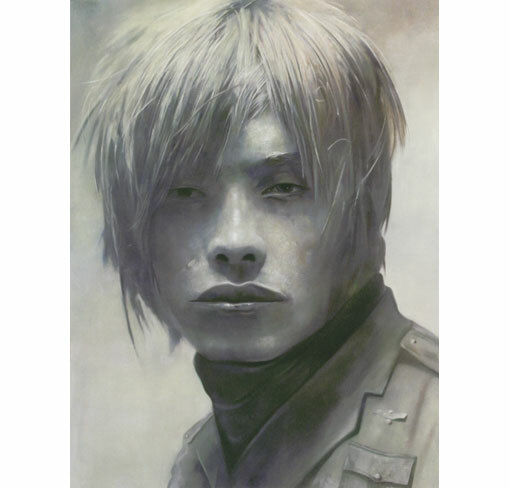 The contemporary Chinese art became a revolutionary style that influenced the whole world. 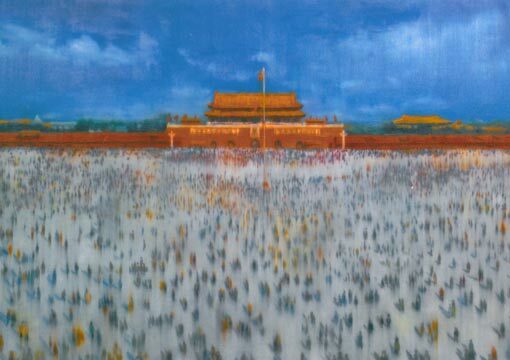 China has not only grown financially but also artistically. The Olympics held in Beijing brought great innovations to contemporary Chinese architecture, and brought China to a new Era. Big is a small word for the Chinese. The modern days inspire architects into creating some of the most fantastic buildings in the world, tough some ancient rules were never forgotten. Symmetry and geometrical figures are not so rigid now, but still present. 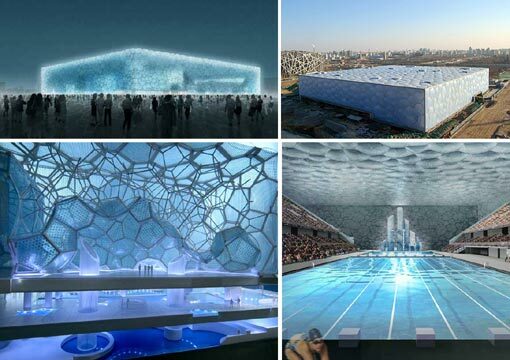 The Water Cube (the swimming Olympic stadium) is mainly created of hexagons, a simpler structure but with a much more complex design. Architecture is an art that allows new beginnings. 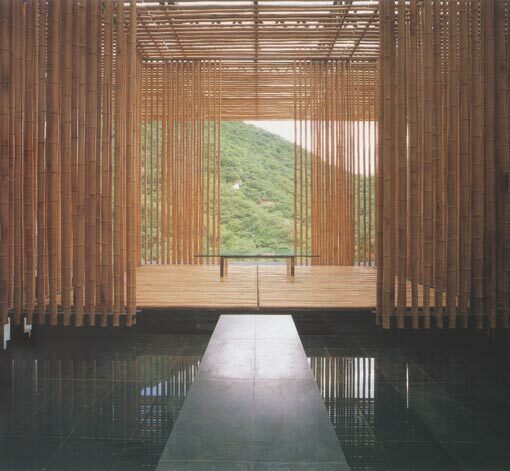 Throughout history, China has acquired great knowledge gathered from other cultures to develop their own style. Chinese architecture is the mixture of present and tradition - learning from the past and gathering the knowledge to build the future.